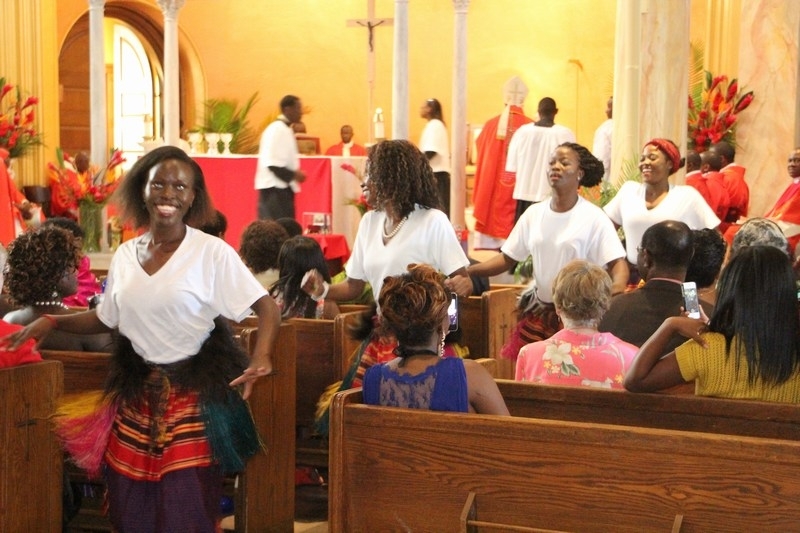 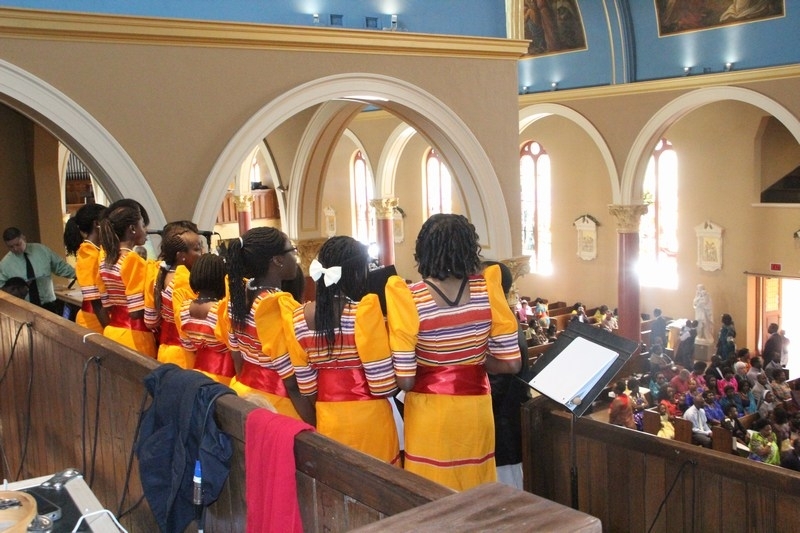 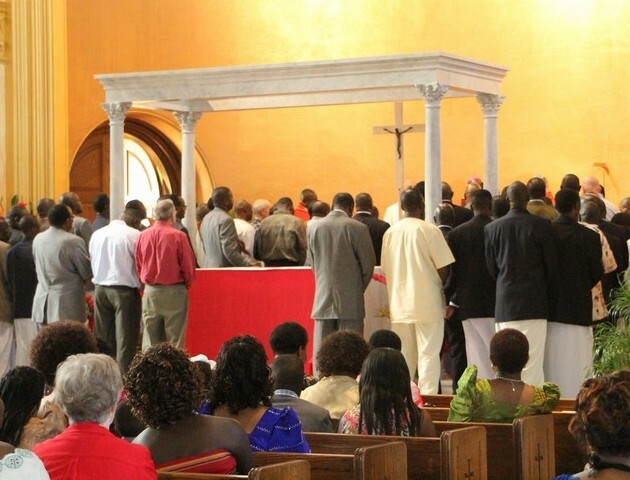 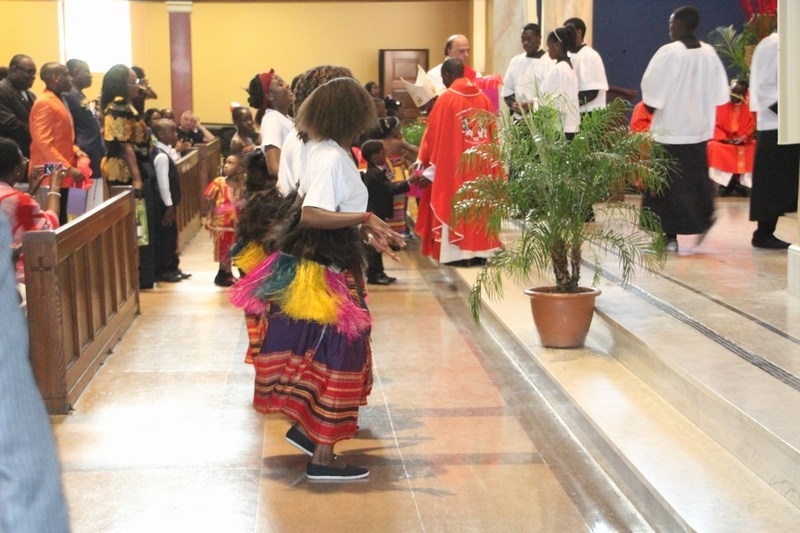 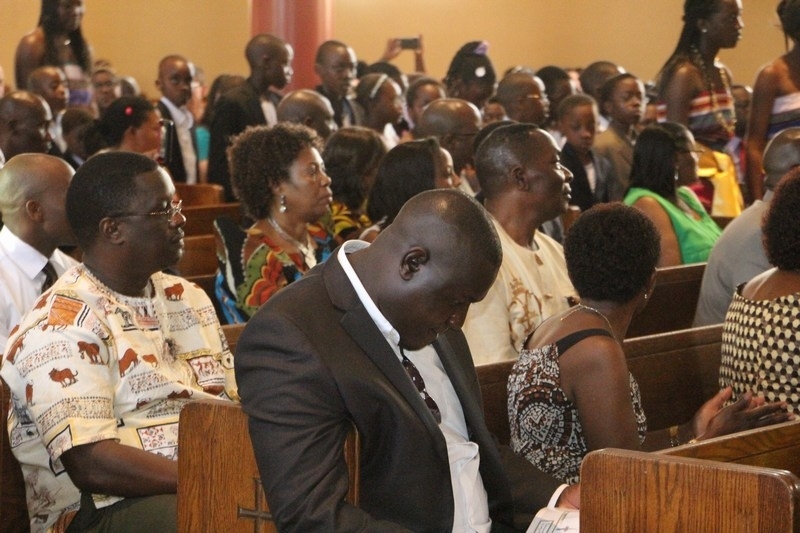 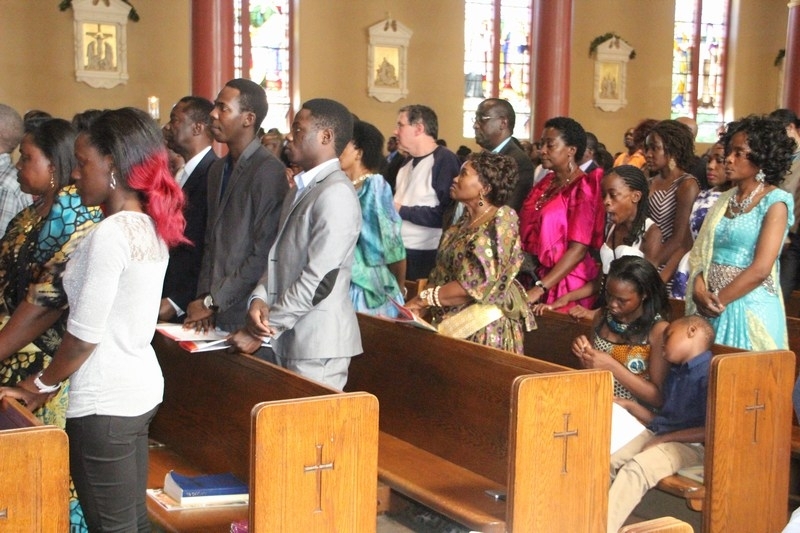 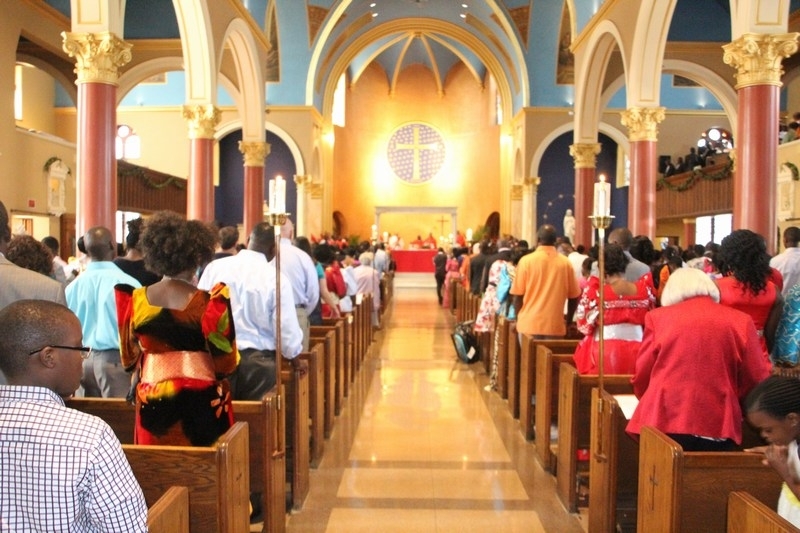 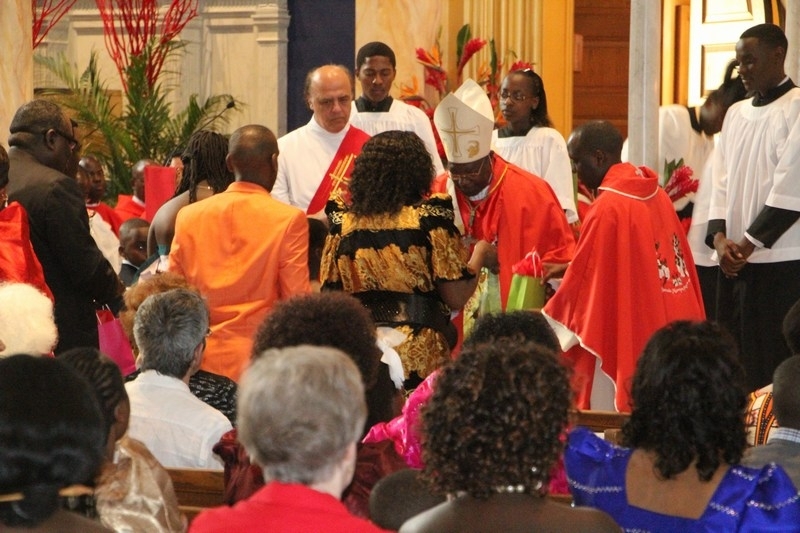 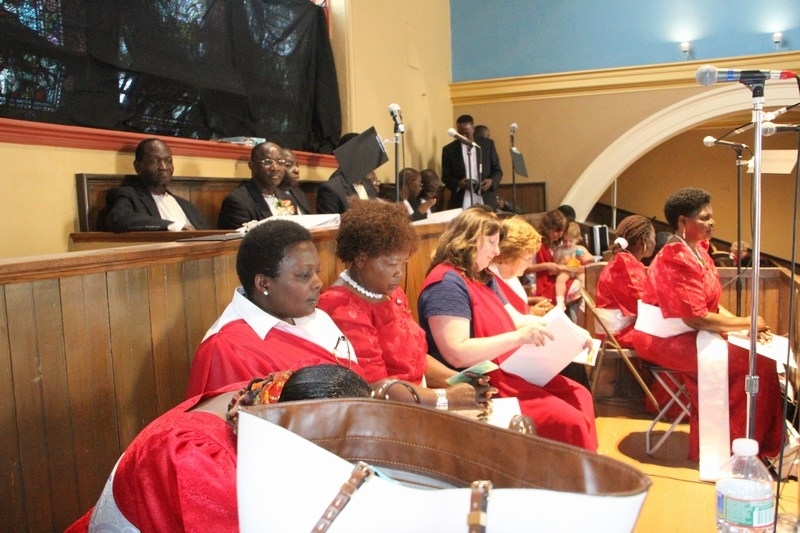 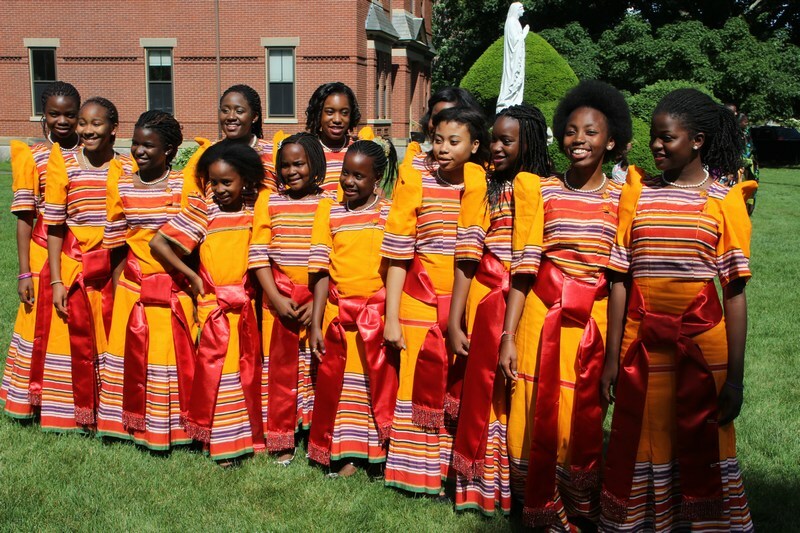 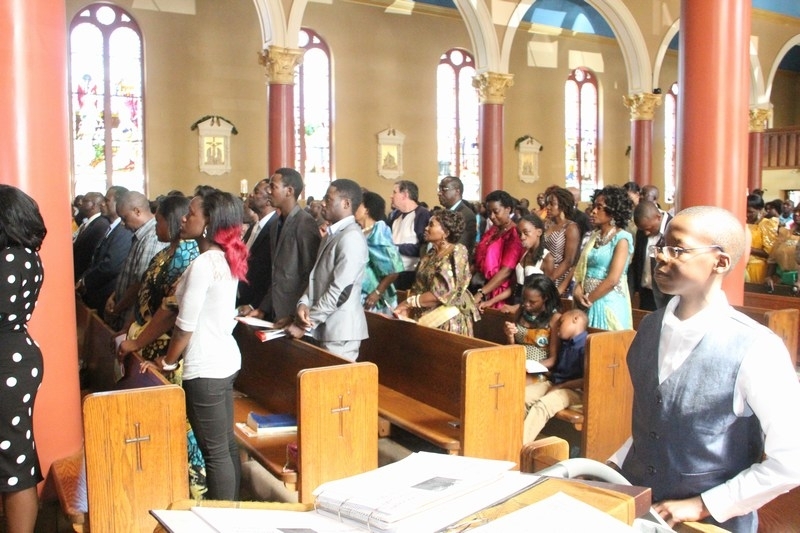 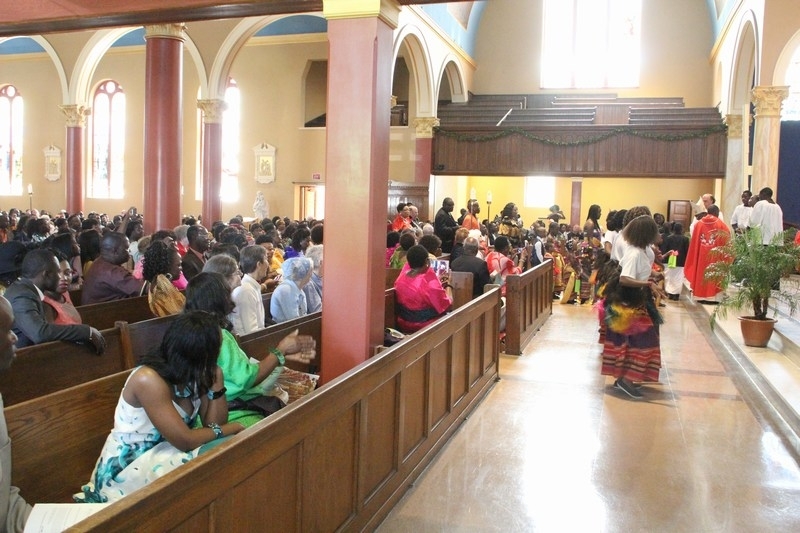 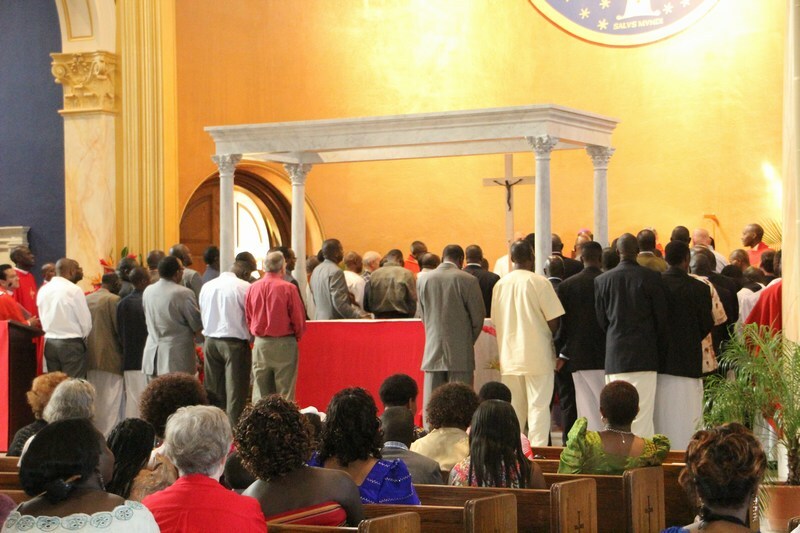 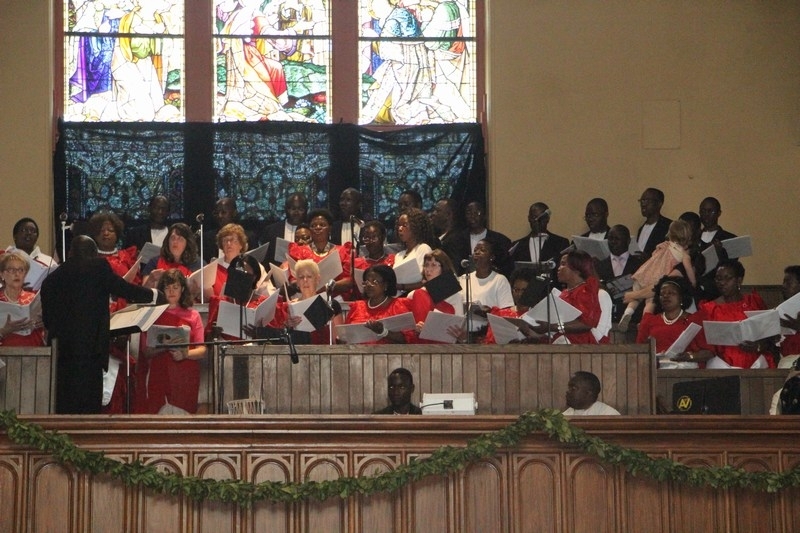 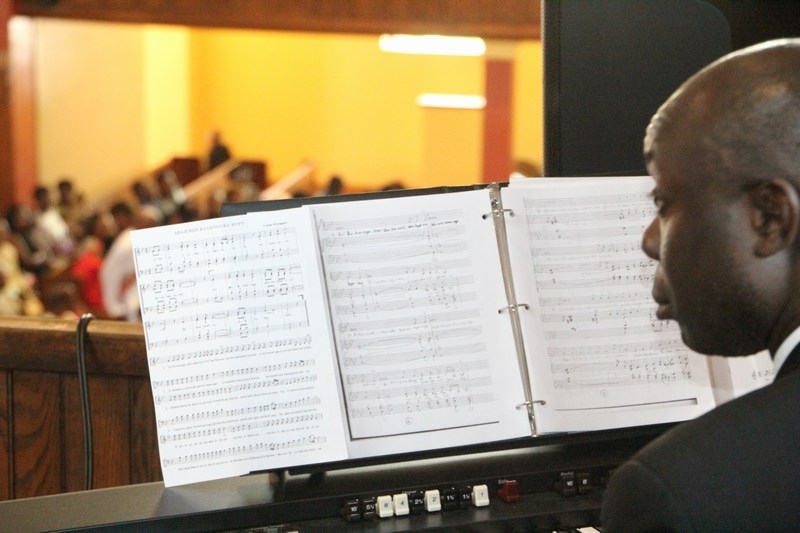 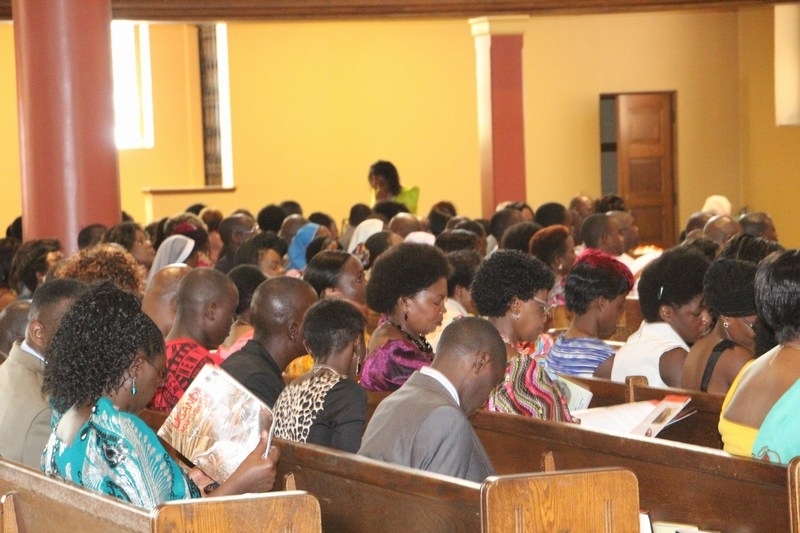 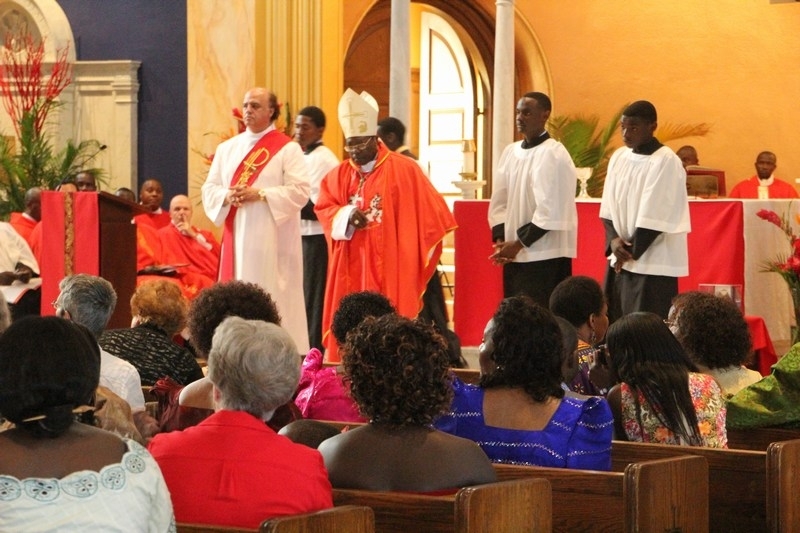 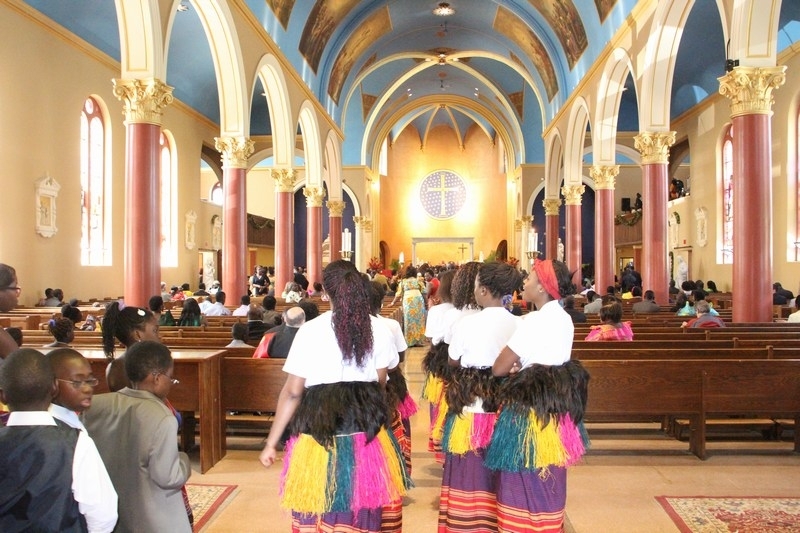 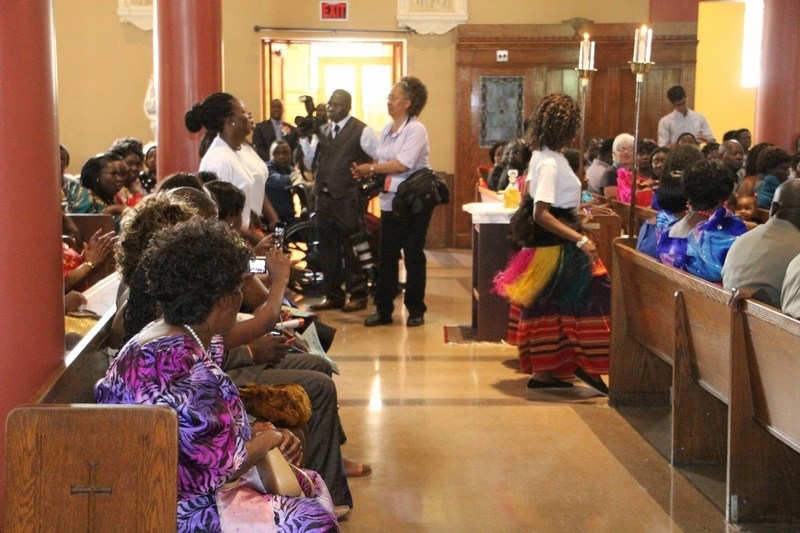 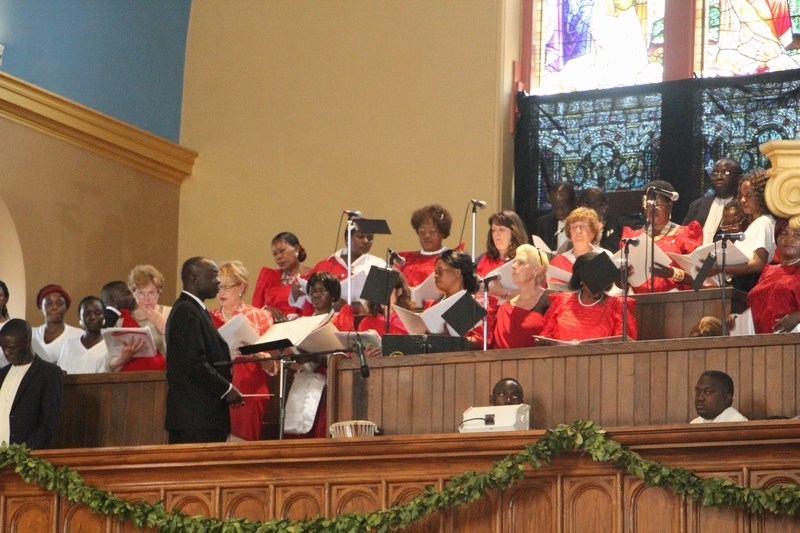 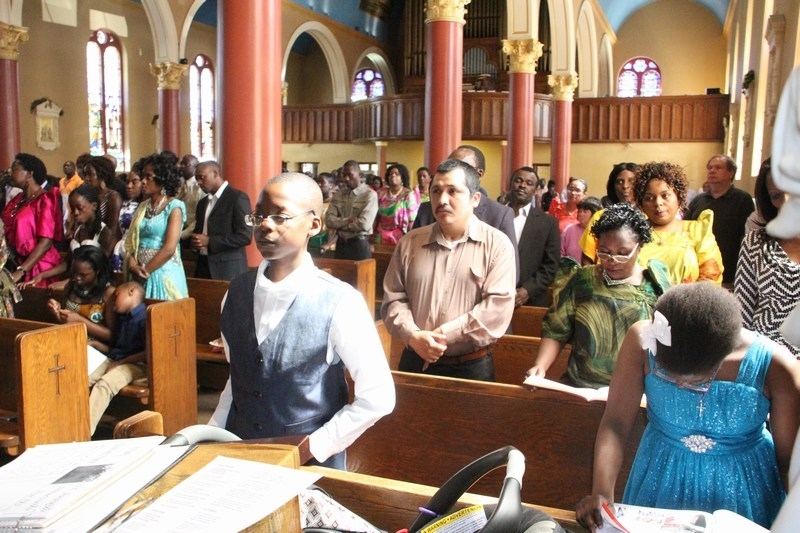 The Uganda Martyrs Day Boston(2014) was commemorated on Sunday June 15th at St. Mary’s Church Waltham with a service that was led by Bishop John Baptist Kaggwa of Masaka Diocese in Uganda. 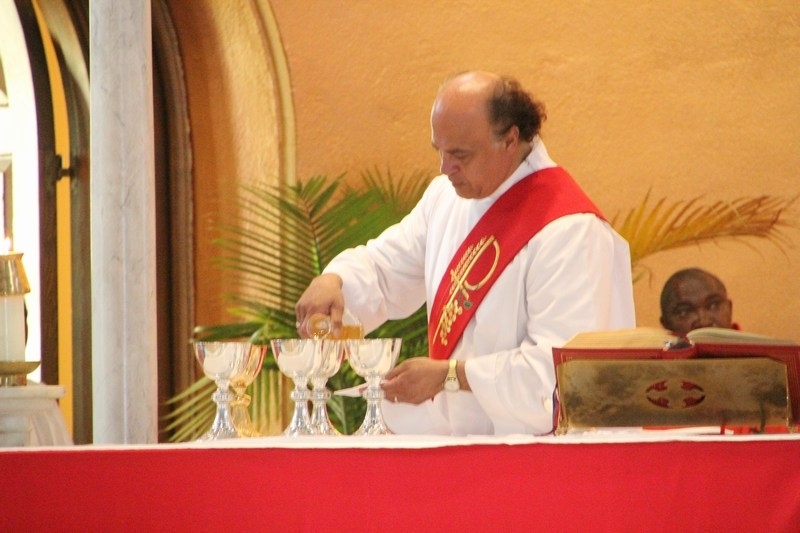 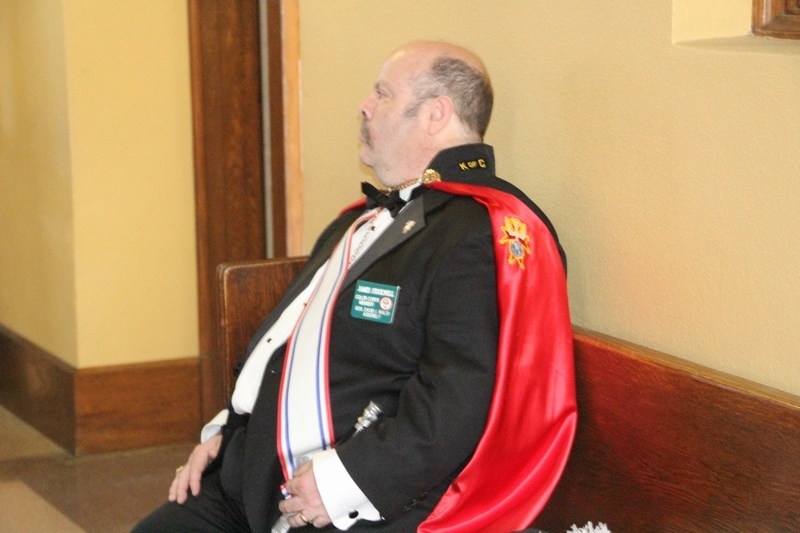 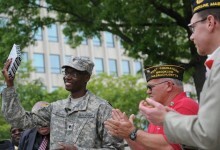 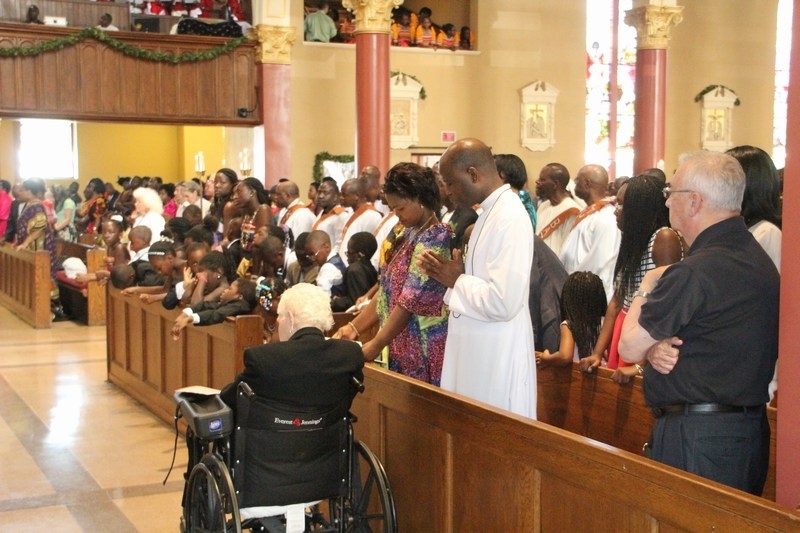 He was assisted by Father Rev. 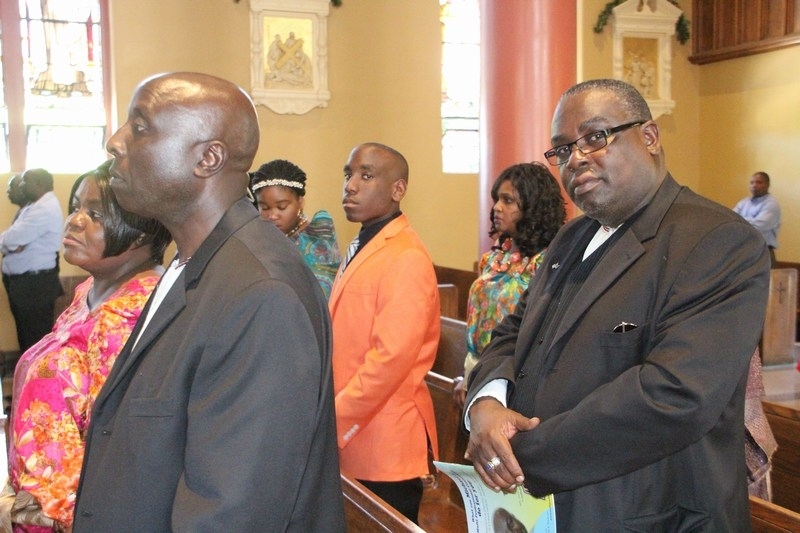 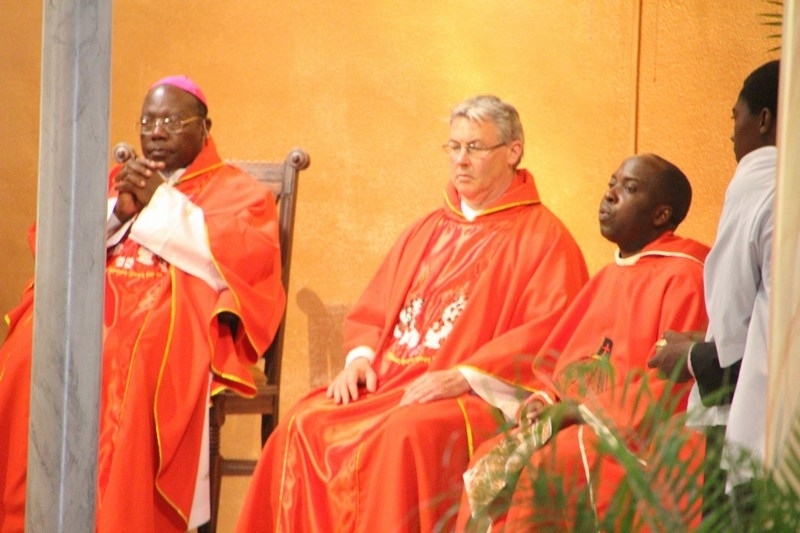 Michael Nolan the Pastor at Saint Mary’s Parish Waltham and Father David Martin Sentamu the chaplain of the Ugandan Catholic Community in Boston. 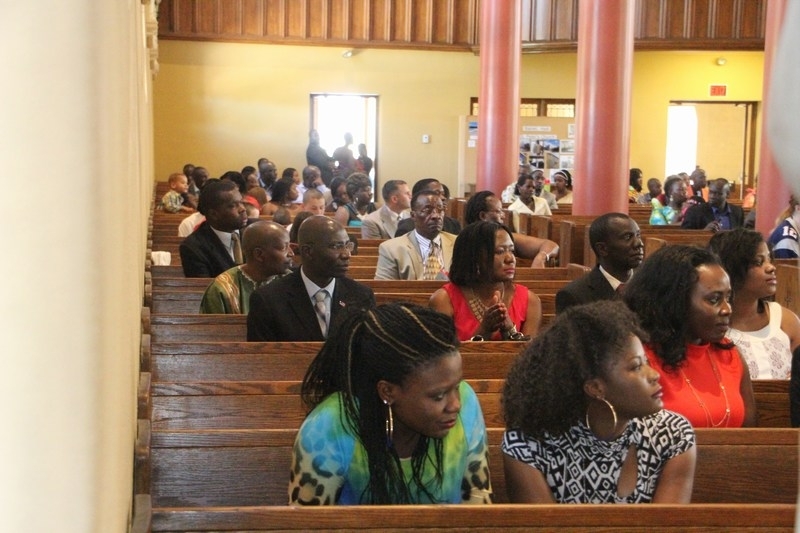 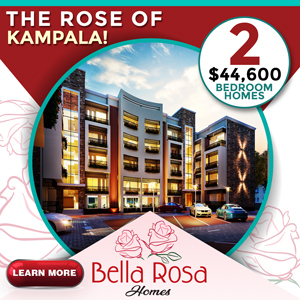 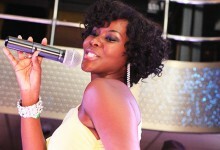 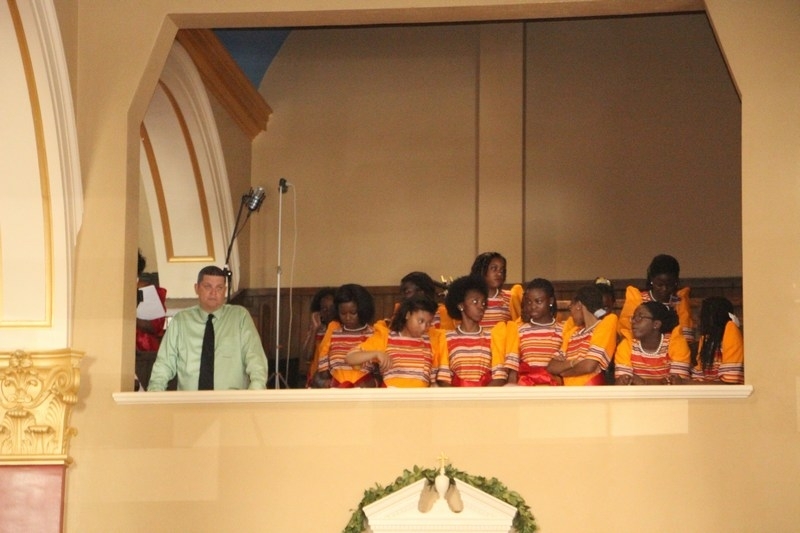 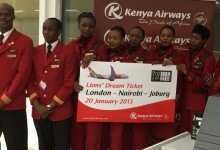 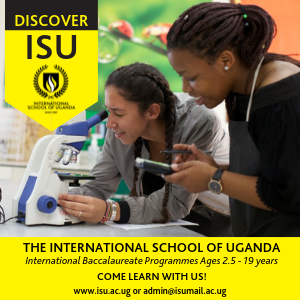 This year’s theme centered around the life and story of Charles Lwanga and His Companions. 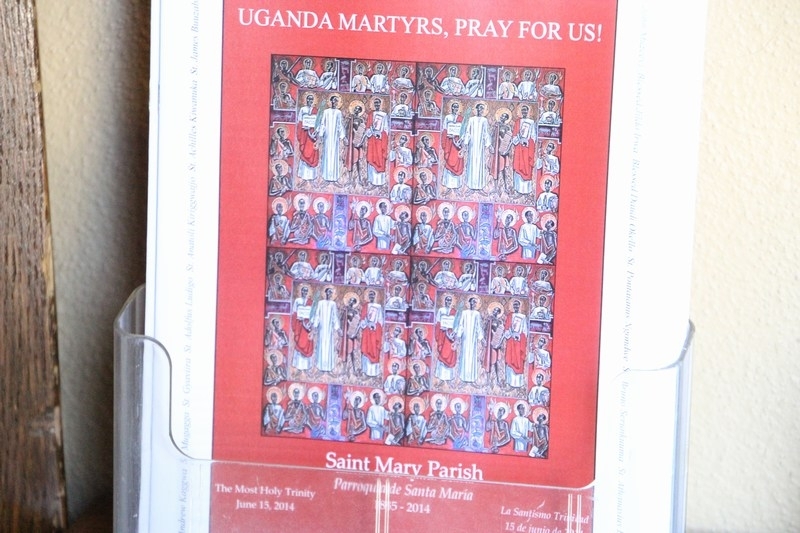 These Christian Martyrs were executed on the orders of King Mwanga II. 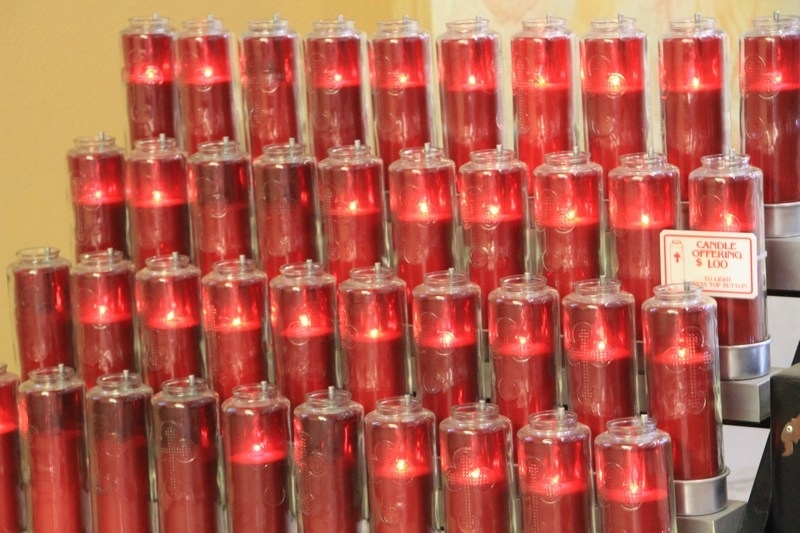 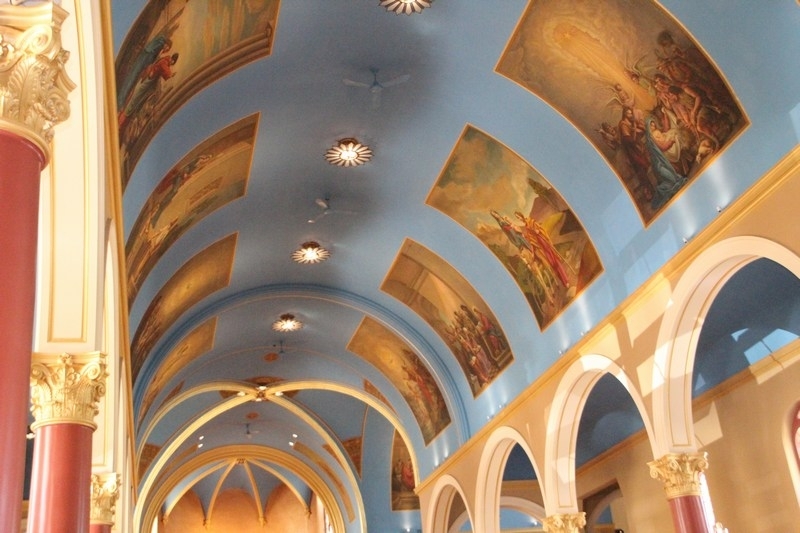 Following their death in Pope John Paul VI canonized them saints on October 18th 1964. 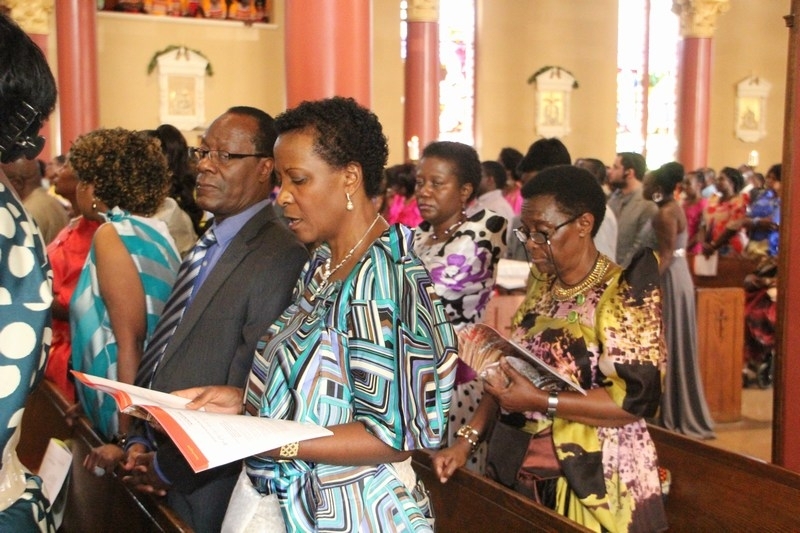 On June 3rd the feast of the Uganda Martyrs is therefore recognized in Uganda as a public holiday and also included in the general Roman Catholic Calendar. 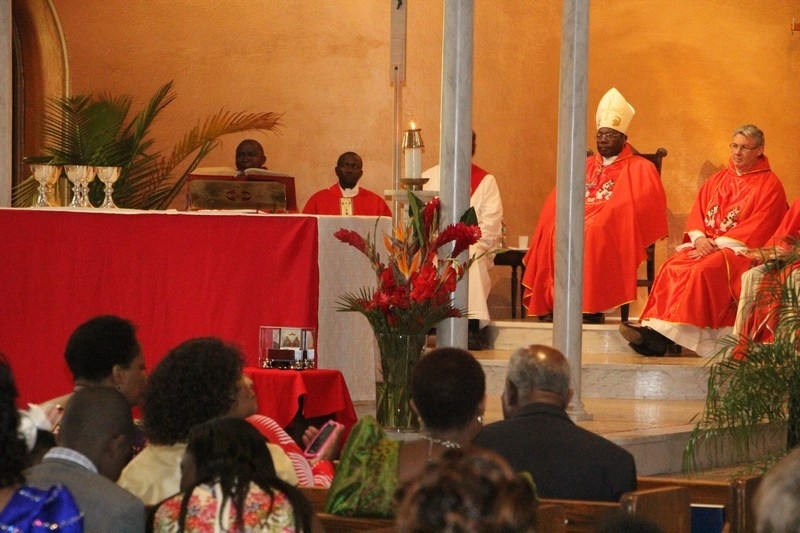 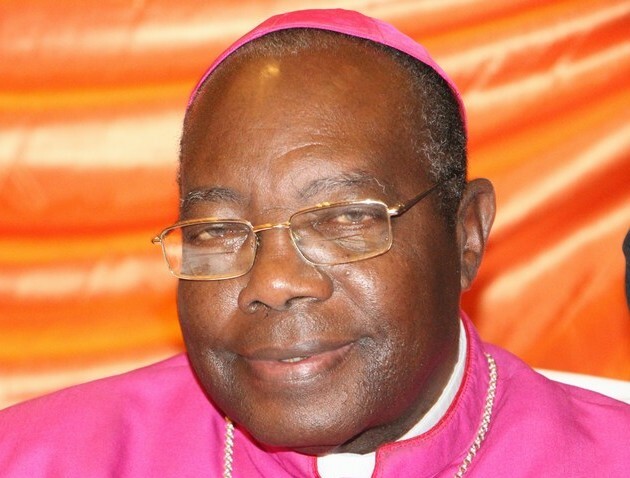 Coincidentally the main celebrant – Bishop Kaggwa and Father Nolan also prayed for all Father’s in commemoration of Father’s Day. 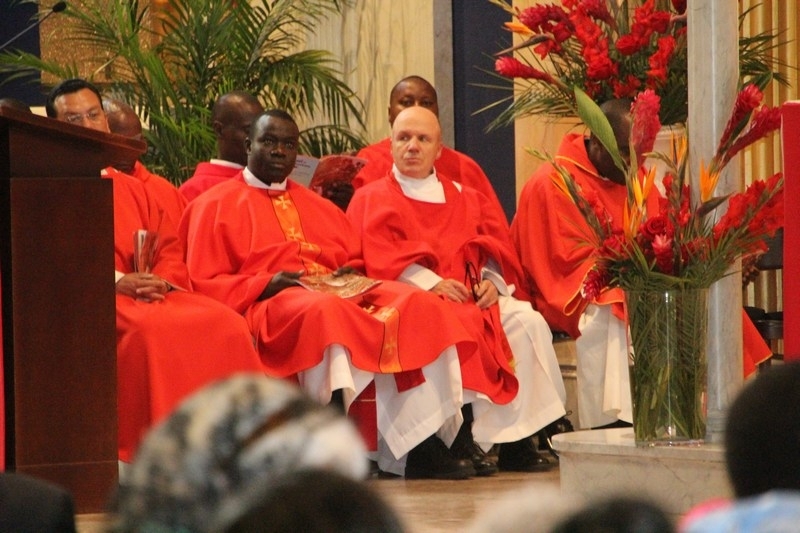 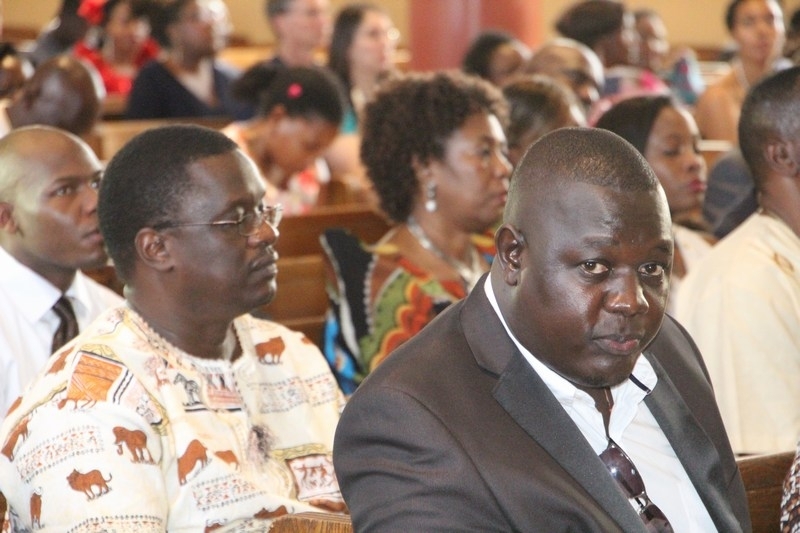 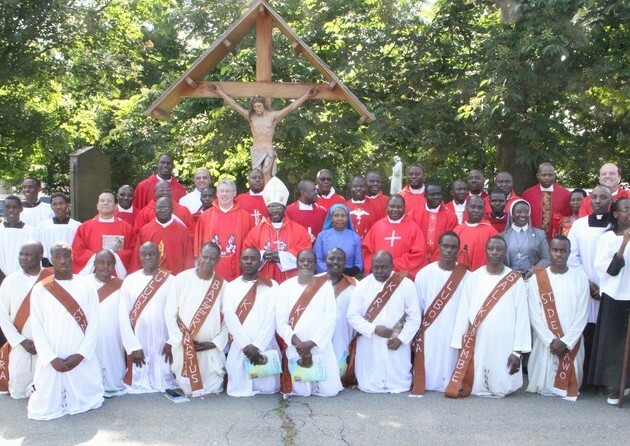 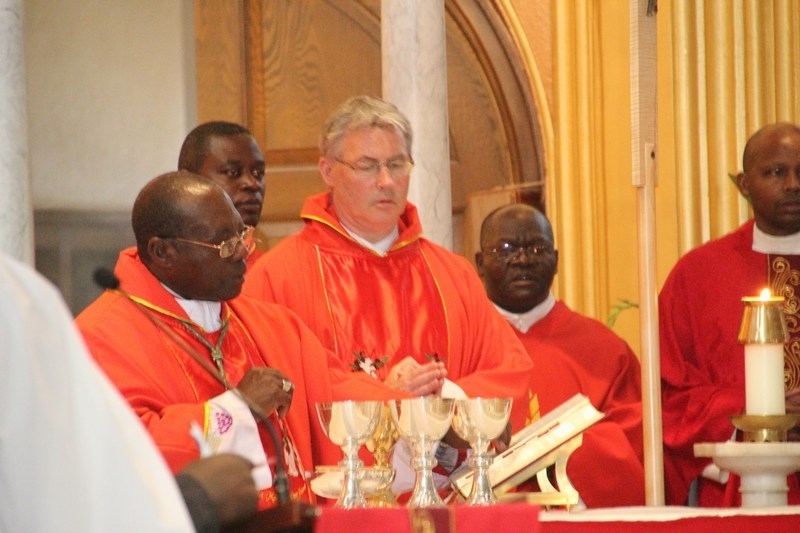 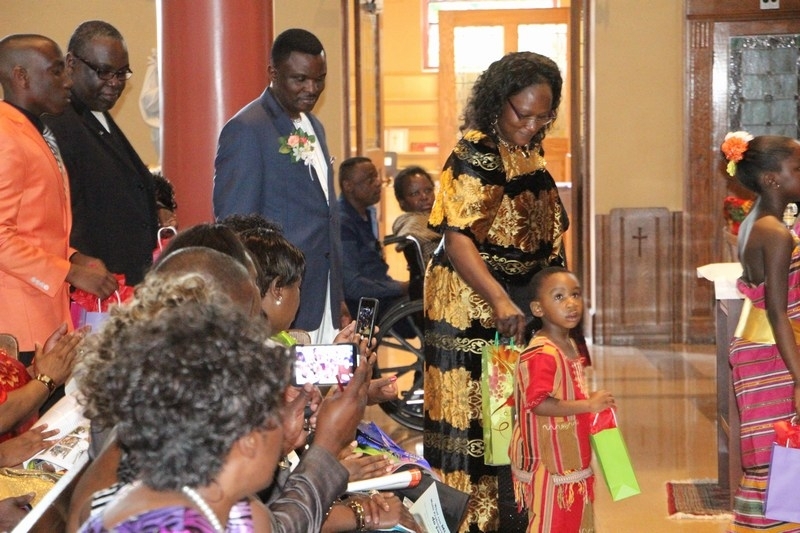 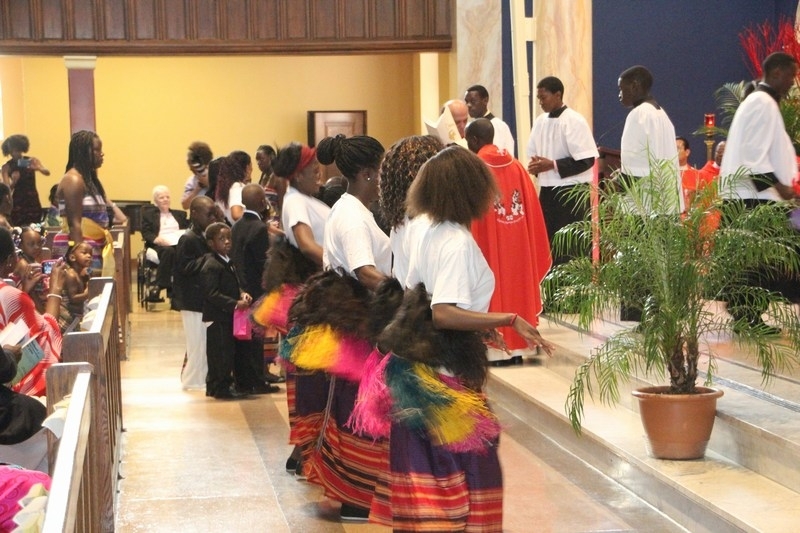 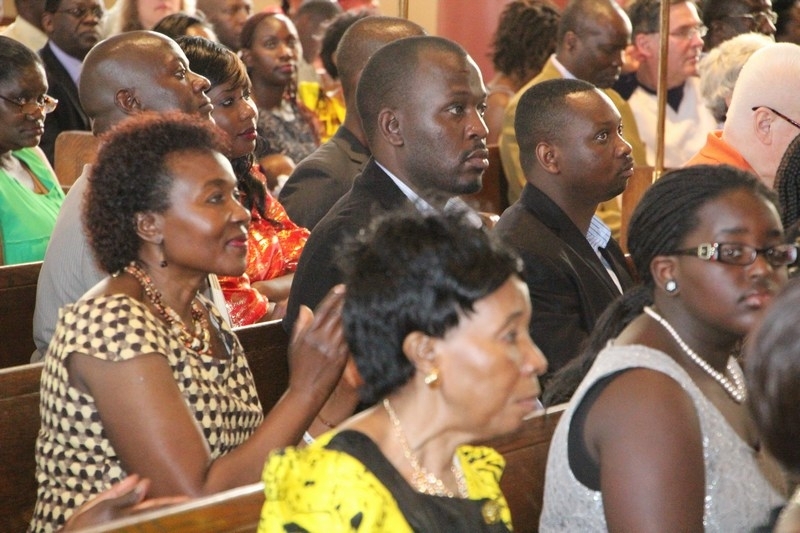 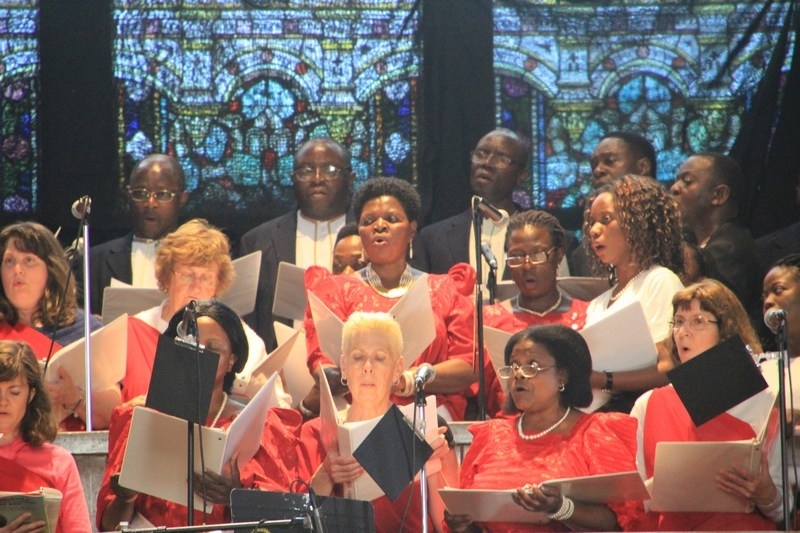 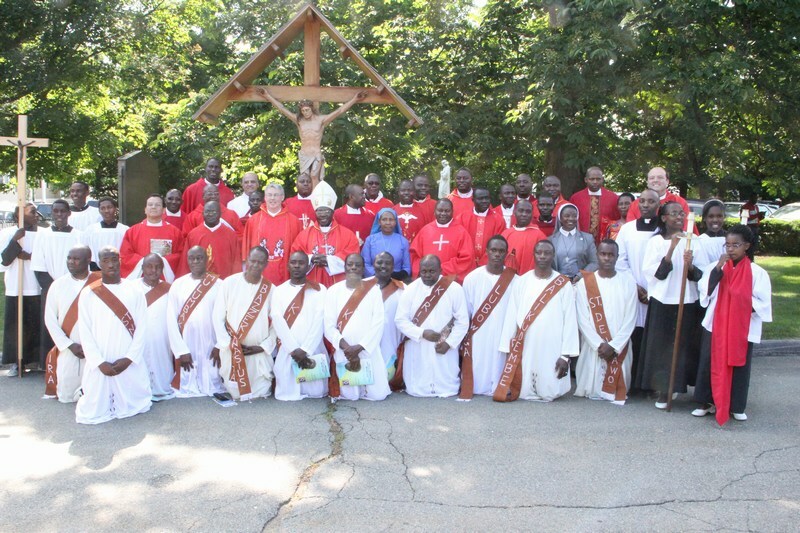 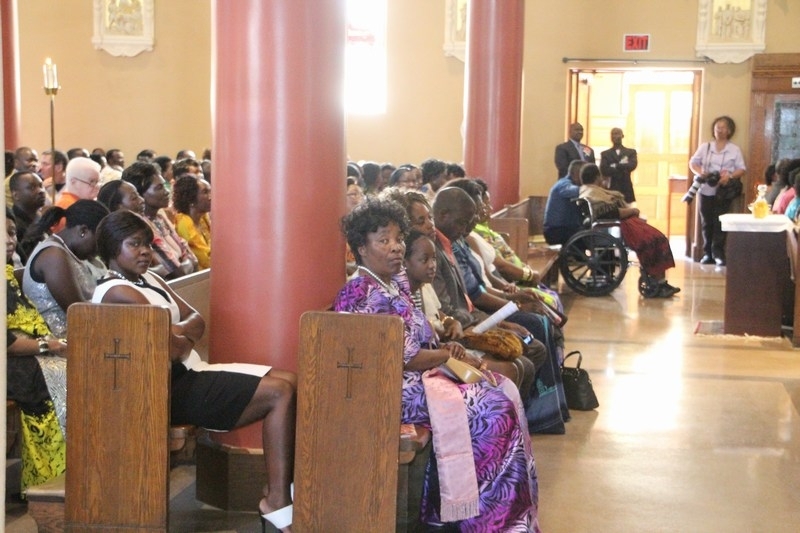 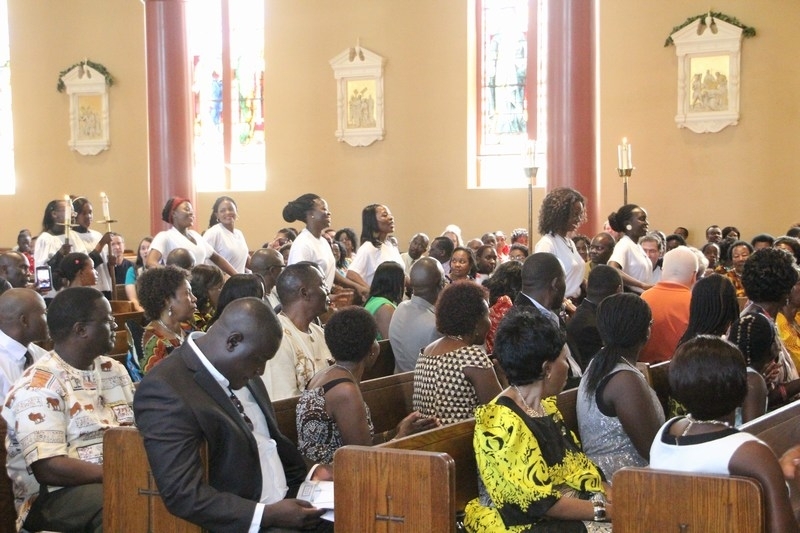 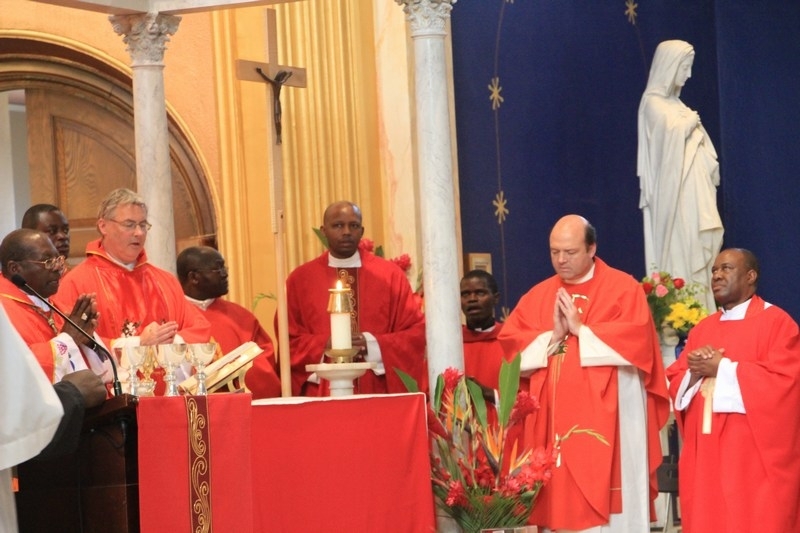 Other Boston community leaders within Boston were able to join their catholic brethren in Waltham this year as they celebrated and commemorated 50 years of the Uganda Martyrs sacrifice. 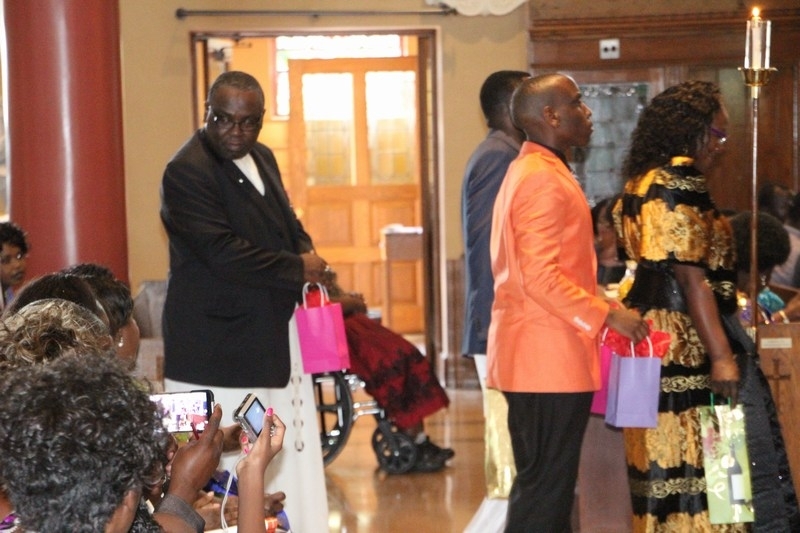 After the main Church service at Saint Mary’s Parish in Waltham guests were then treated to a luncheon at the Boston Burlington Marriott. 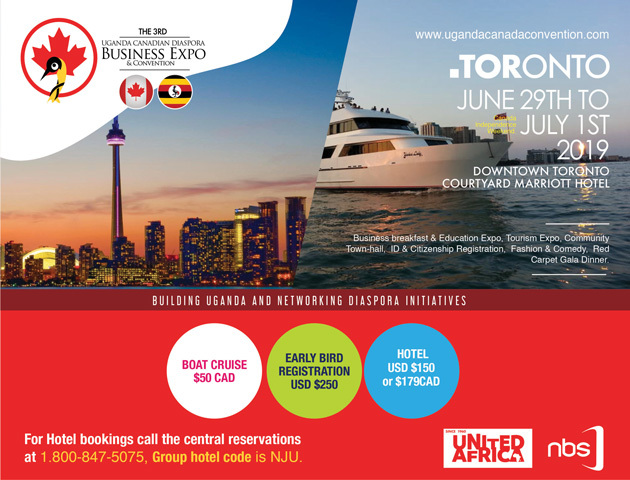 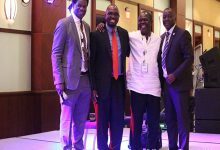 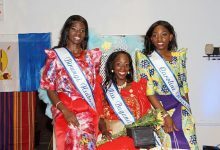 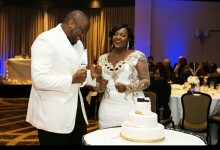 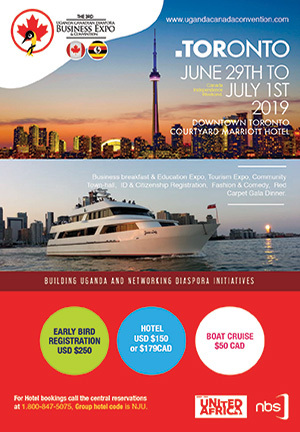 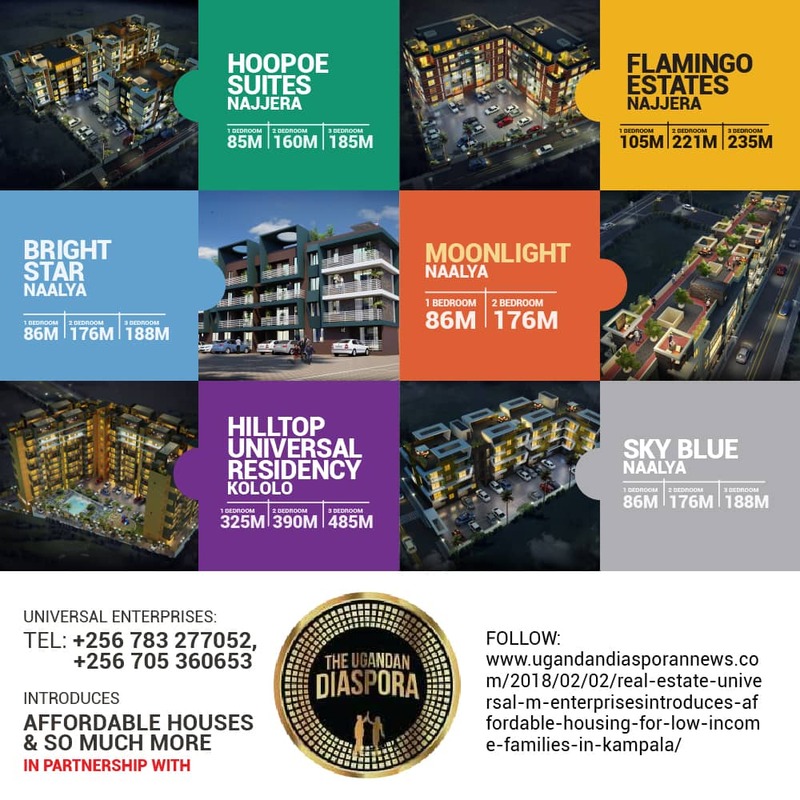 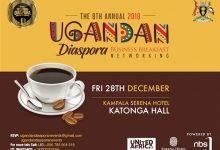 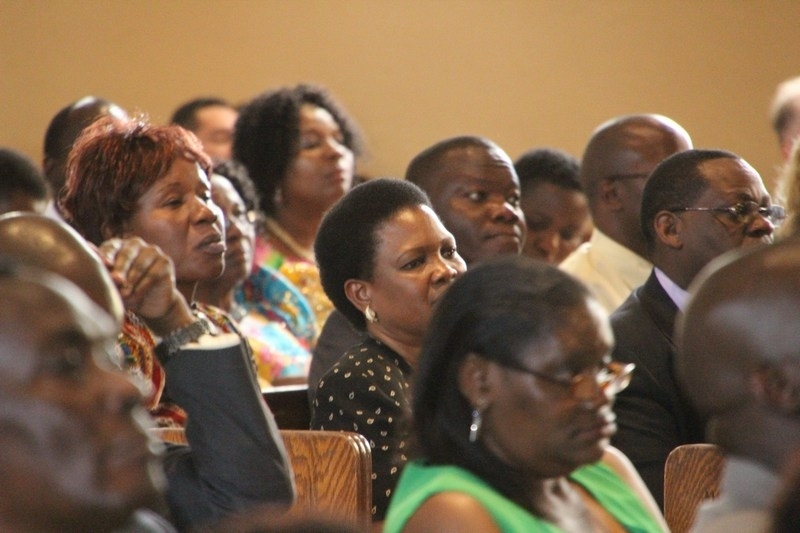 Uganda Diaspora News attended the event and now brings you the highlights of both the Church service and the luncheon that followed. 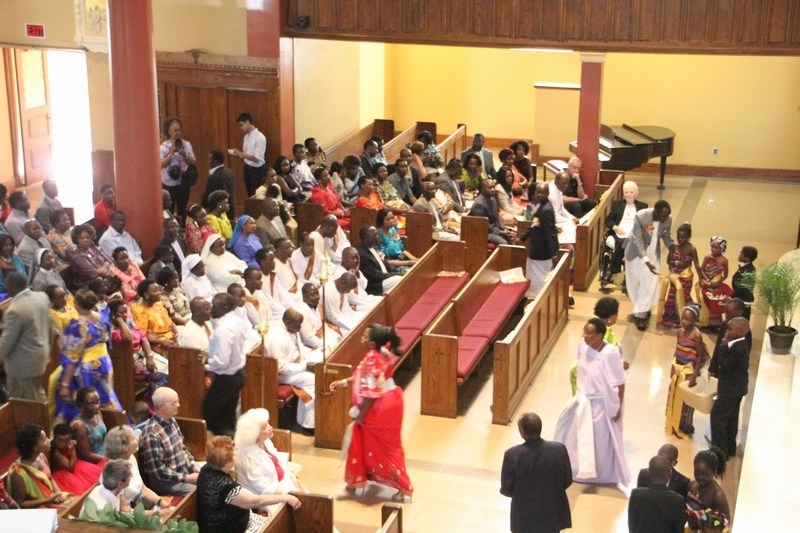 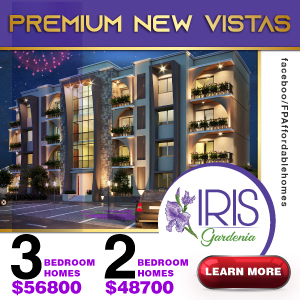 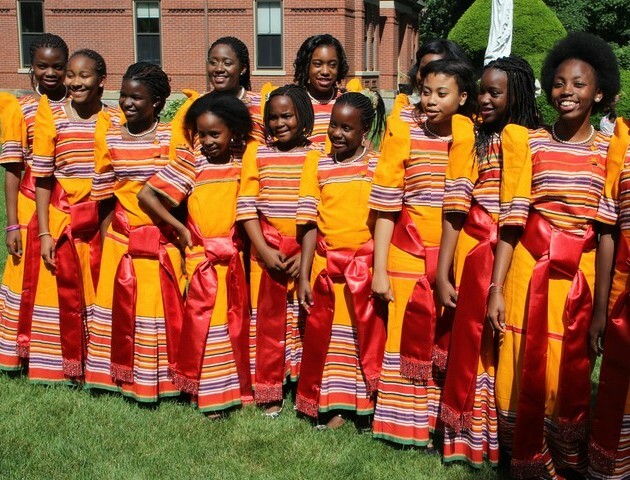 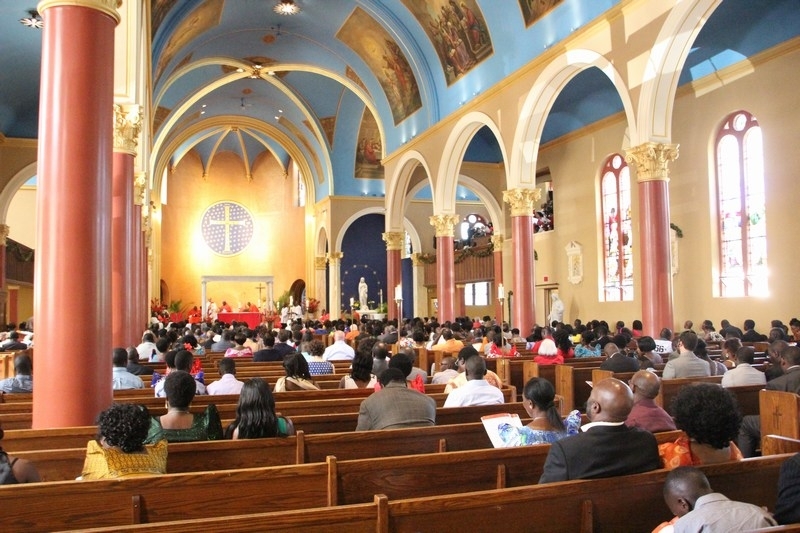 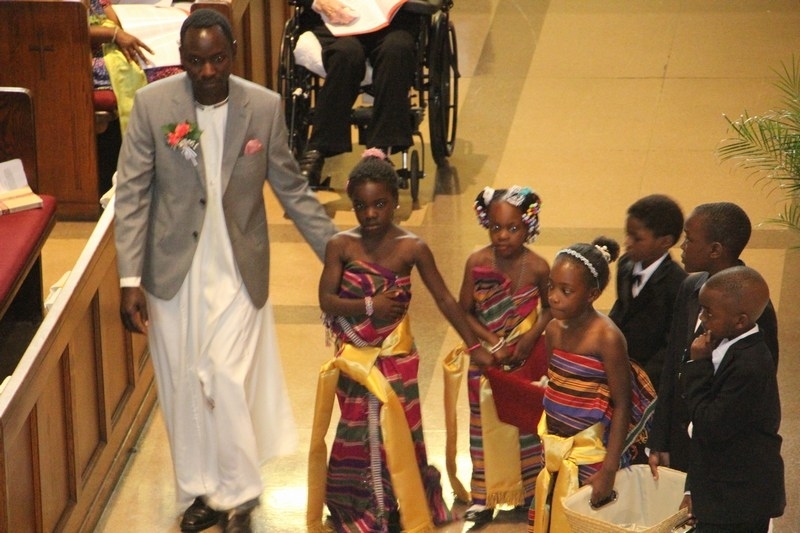 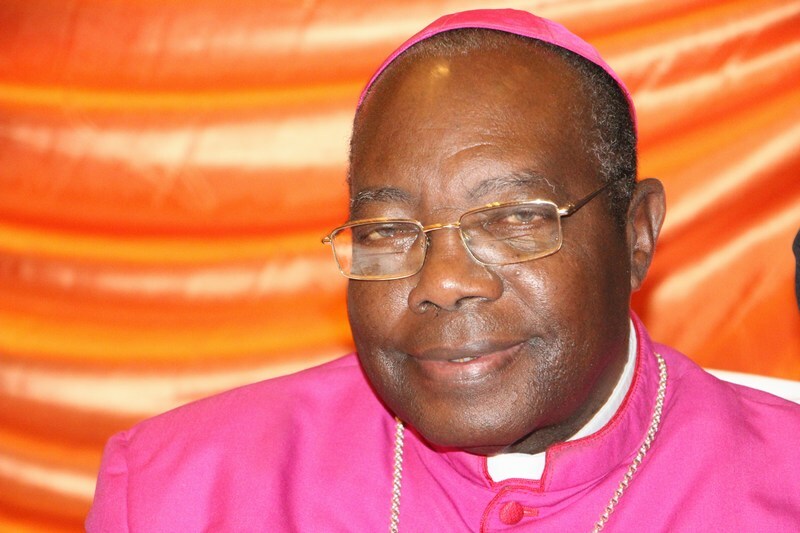 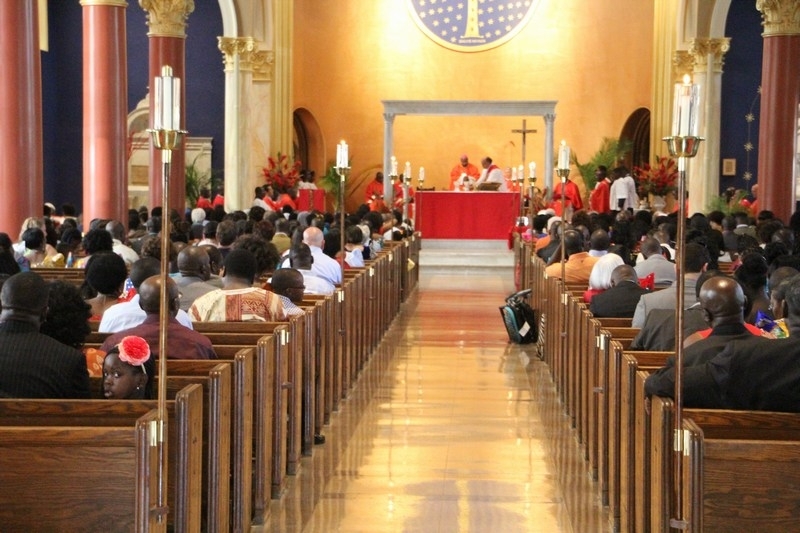 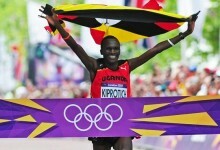 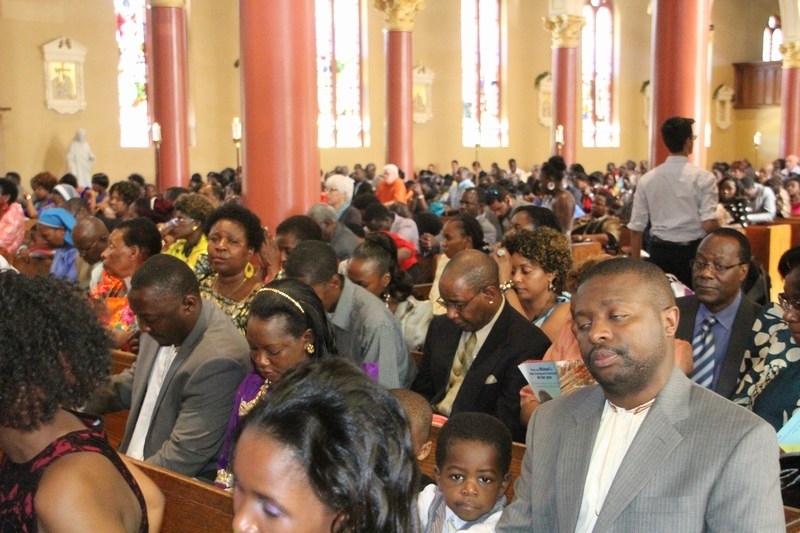 The Ugandan Catholic Community Boston – Invites The Diaspora Community To The Uganda Martyrs Day Celebrations on Sun. 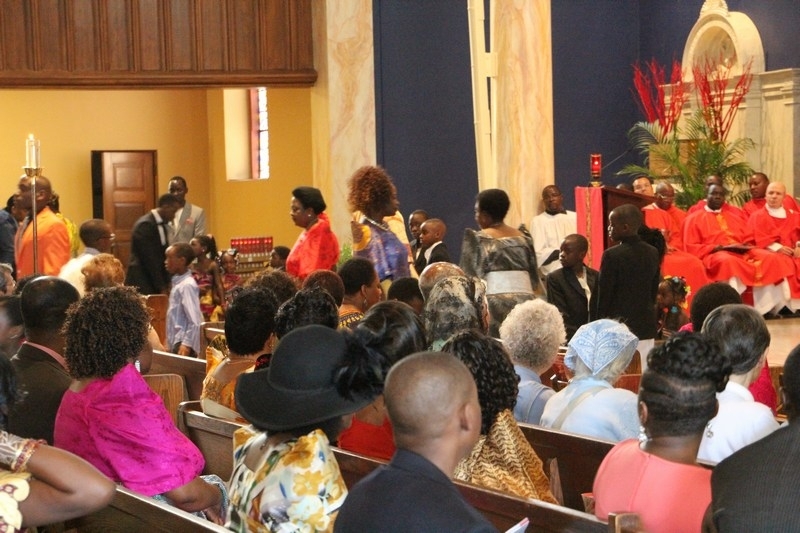 June 15th, 2014. 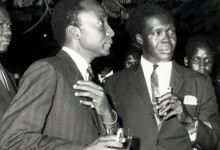 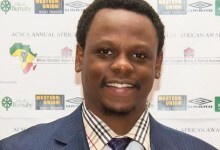 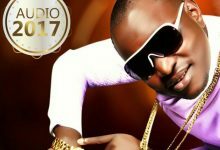 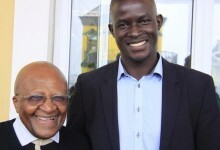 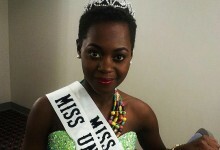 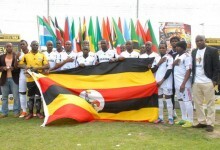 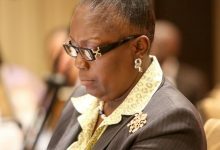 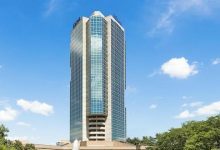 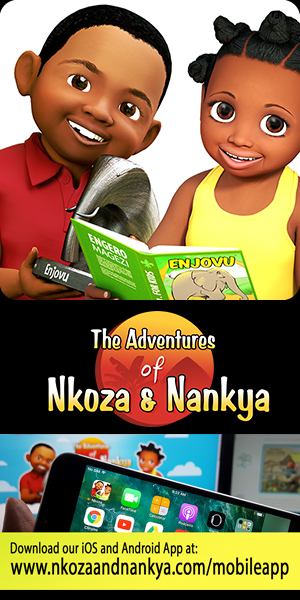 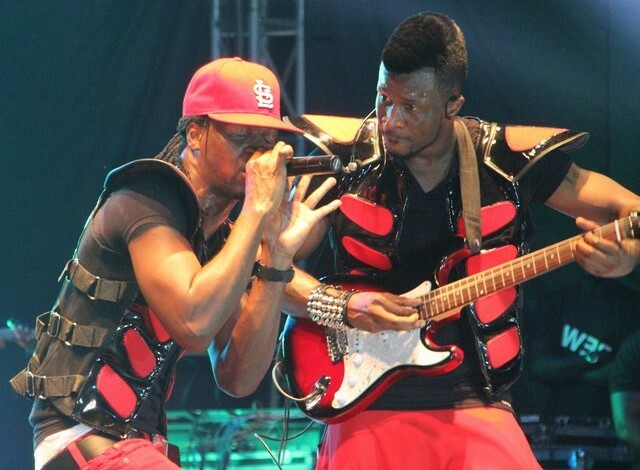 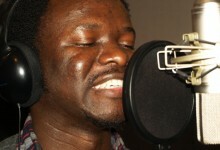 Bannange akakazi akali mu Ggomesi eyabbulu nga katade omuge omweru ku mutwe buli mwaka kaba namusajja mulala? 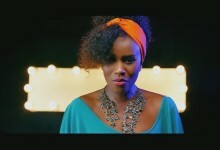 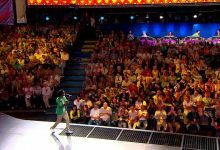 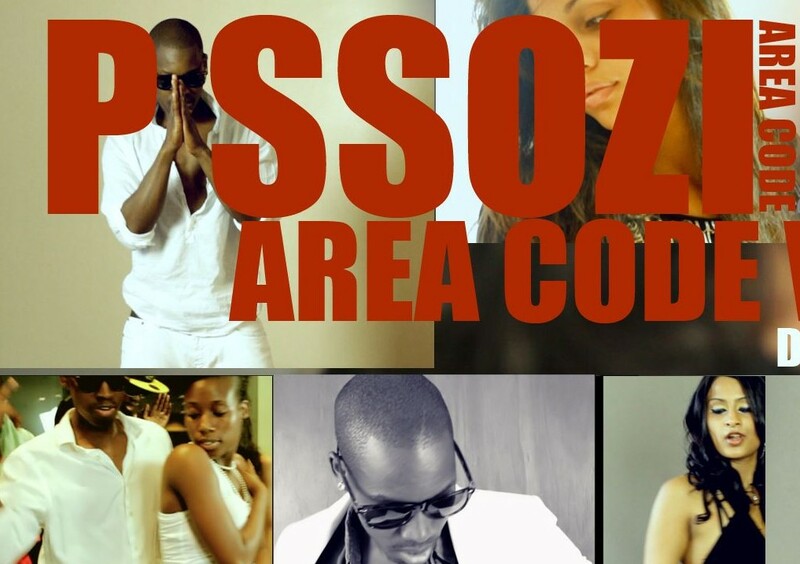 Abakazi kiki? 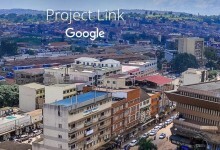 Tekaswala?